School meals may contain unsafe levels of bisphenol A (BPA), a chemical often found in canned goods and plastic packaging, according to research by Stanford postdoc Jennifer Hartle. 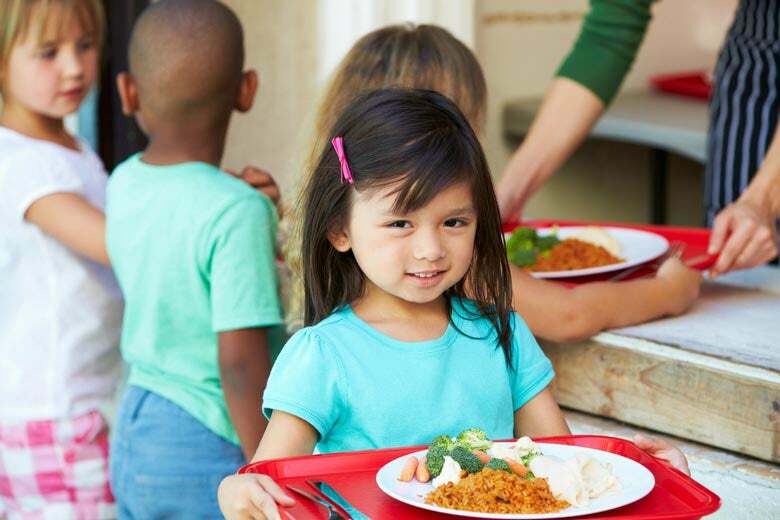 Federal standards for school meals are intended to keep kids healthy. But with emphasis solely on nutrition, schools are missing another component critical to students’ health – exposure to toxic chemicals, according to a study led by Jennifer Hartle, a postdoctoral researcher at the Stanford Prevention Research Center. School meals may contain unsafe levels of bisphenol A (BPA), a chemical often found in canned goods and plastic packaging, according to the first-of-its-kind study published in the Journal of Exposure Science and Environmental Epidemiology. BPA can disrupt human hormones and has been linked to health effects ranging from cancer to reproductive issues. This uptick in packaging is a result of schools’ efforts to streamline food preparation and meet federal nutrition standards while keeping costs low. The main pathway for BPA exposure is through consumption of food and drinks that have contacted the chemical. Children, whose organ systems are still developing, are especially susceptible to hormone disruption from BPA. “Sometimes only small changes in hormone activity during development can cause permanent adverse affects,” the study’s authors write. Researchers track BPA intake in terms of micrograms per kilogram of body weight per day. In lab experiments, rodents experience toxicity at 2 micrograms per kilogram of body weight per day. But humans may metabolize BPA differently, Hartle said. The researchers said they believe that safe levels for BPA exposure should be in line with these low-dose toxicity findings to protect vulnerable populations like children. To determine how much BPA students are ingesting, Hartle, along with researchers from Johns Hopkins University, interviewed school food service personnel, visited school kitchens and cafeterias in the San Francisco Bay Area and analyzed studies on BPA food concentration values. Unsurprisingly, they found that BPA exposure varies, depending on what students eat. Elementary school students consuming pizza and milk with sides of fresh fruits and vegetables would take in minimal levels of BPA. But a student consuming pizza and milk with canned fruits and vegetables could take in anywhere from minimal levels to 1.19 micrograms of BPA per kilogram of body weight per day. While most students would not consume the maximum amount, those who do would take in more than half of the dose shown to be toxic in animal studies in just one meal. In 1988, the U.S. Environmental Protection Agency defined safe BPA consumption levels as 50 micrograms or less per kilogram of body weight per day. Since then, hundreds of scientific papers have found detrimental biological effects of BPA at levels lower than the EPA standard. Recognizing the new scientific literature on BPA, the European Food Safety Authority recently updated its standards for safe BPA intake to 4 micrograms per kilogram of body weight per day – 46 micrograms less than the EPA standard. Hartle said the United States should consider following Europe’s lead by reducing its definition of safe BPA consumption levels. Another step would be for governing agencies to invest in more low-dose toxicity testing to provide more certainty around BPA’s toxicity at low levels. Schools can protect children by limiting sources of BPA contamination. However, the researchers caution that food containers labeled “BPA-free” are not necessarily a safe alternative because the chemicals used to replace BPA could be just as toxic. Hartle suggested that parents talk to principals and school administrators about getting more fresh fruits and vegetables into cafeterias. Feeding children more fresh food in packed lunches and at home is also an important step in limiting exposure, she said.